When Can I Get a Free Annual Copy of My Credit Score? A: There isn't one. There's no law requiring that consumers be provided with a free annual copy of their credit scores. You're probably thinking of a provision in the new financial services reform law. It says that if a lender, a landlord, or a potential employer denies you a loan, refuses to rent you a house or apartment, or turns you down for a job because of your credit score, he must give you a free copy of the score he used in making that decision. But there's nothing in that law about providing a free credit score to everyone. A little background information might be useful here. Many people don't know the difference between your credit report and your credit score. Your credit report is your credit history. It shows when you first obtained credit, how often you've borrowed, whether you pay your bills on time, how many credit cards you have, how much credit you use out of your total available credit limit, etc. It's a history of your transactions with all the entities you've done business with -- merchants, lenders, utility companies -- as reported to three big credit agencies: Experian, TransUnion, and Equifax. These agencies are required by law to provide you with a free copy of your credit report every year. You need to look at all three because your history may vary from one agency to another. 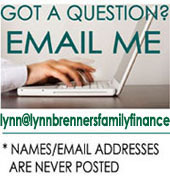 To order your free annual credit reports, go to www.annualcreditreport.com, or telephone 877 322 8228. It's important to check your credit report every year. If you see yourself listed as having credit cards or outstanding loans you never took out, it may be a red flag that someone has stolen your identity. Less dramatically, but a lot more often, credit reports contain basic errors caused by the agencies' carelessness. For example, I once found I was listed as having two charge cards at a big department store. I only had one. The other card belonged to someone with the same last name who lived in my zip code. I got that corrected. Luckily for me, she paid her bills on time, so having her account listed as mine hadn't hurt my credit score. And that brings us to your FICO credit score -- a three-digit number that ranges from 300 to 850. Your FICO credit score is a distillation of everything in your credit reports. (If your credit report were a three page essay, your credit score would be a three character Tweet.) It's called a FICO score after its creator, Fair Isaac Corp. Lenders no longer bother to read your credit reports. They judge you by those three digits, which supposedly show your ability to pay your bills on time -- i.e., how risky it is to lend you money. Lenders use it to determine your interest rates, and some insurers use it to set your premiums. The lower your three-digit score, the more you pay for a loan or an insurance policy, and the less attractive you are as a potential renter or employee. Obviously, you need to look at the score that they're using to judge you. Unfortunately, you still have to buy it. You can do that at myfico.com for $15.95. Beware of the 'free credit scores' offered online. They aren't really free: They automatically enroll you in a credit monitoring service. If you don't cancel that service within seven days, you can end up paying a $20 monthly fee.